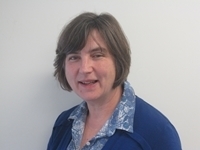 Dr Kathryn Griffith is a principal in general practice in York. She has been a GP specialist in cardiology at York Teaching Hospital FT for almost 20 years. She completed her GPSI training in Postgraduate Cardiology to Masters level at Bradford University with a dissertation on Cardiovascular and Renal Disease in Primary Care. She is now a Senior Tutor for Bradford University teaching on the course. She was a member of the KDIGO Global CKD Guideline Working group for the 20102 update and is now a member of the NICE CKD Guideline and Renal Anaemia Guideline Update groups. She has been the RCGP Clinical Champion for Kidney Care since April 2013 and is a member of the Acute Kidney Injury Programme Board and the Renal Advisory Group at the Department of Health. She is a founder member of CVGP the society for professionals with an interest in cardiovascular disease in general practice.